Oh wow! I am so all over that persimmon colorway. I love the tarragon! Wow! ok I TOTALLY have to get the persimmon line, that is gorgeous!!! oh, i just saw those yesterday there! :) love, love, love the persimmon, can't wait to get a hold of those ones!! I love the persimmon line. wowwwww. i'm in 2 bees with you so my chances are pretty high for playing with these fabrics!!! 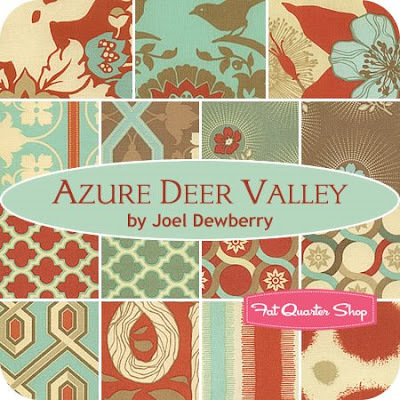 I love the azure and the persimmon! Both colorways speak to me. Droool.....Love the tarragon. 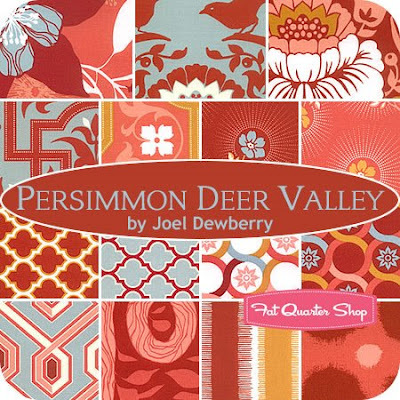 And the persimmon would be perfect for this gift quilt I need to make. (And I'd promised myself not to buy any more fabric the next few months! LOVE the Azure! I hope you get one of them for the bee inspired bee so that I can play with them! Have I told you how much I love your new banner? I love it! I'm loving the persimmon!! 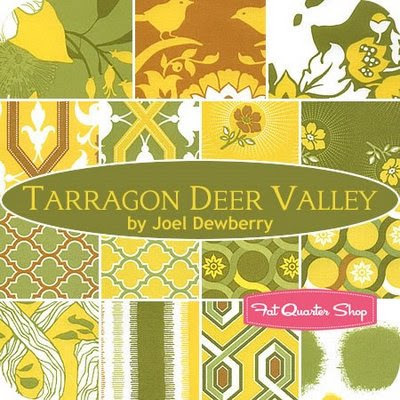 I really like Joel Dewberry's fabrics too. The 'coming soon' part of FQS is dangerous for me. Their sale section is pretty fun. Love the new fabric line! I am with Amy... love the new banner. Those are great! I'm glad to see a new line of fabric from him! They look great. Can I just say that your style really is fantastic. I really think that I need to follow you. :) Great taste in fabric. The persimmon is calling to me! Yes? Buy you? ok! Just stumbled across your blog tonight and must say I've enjoyed reading so far! I love the colours you work with. I've bookmarked your blog and will check it out more often. oh yea, that azure and persimmon are so wanting to come live at my house! !